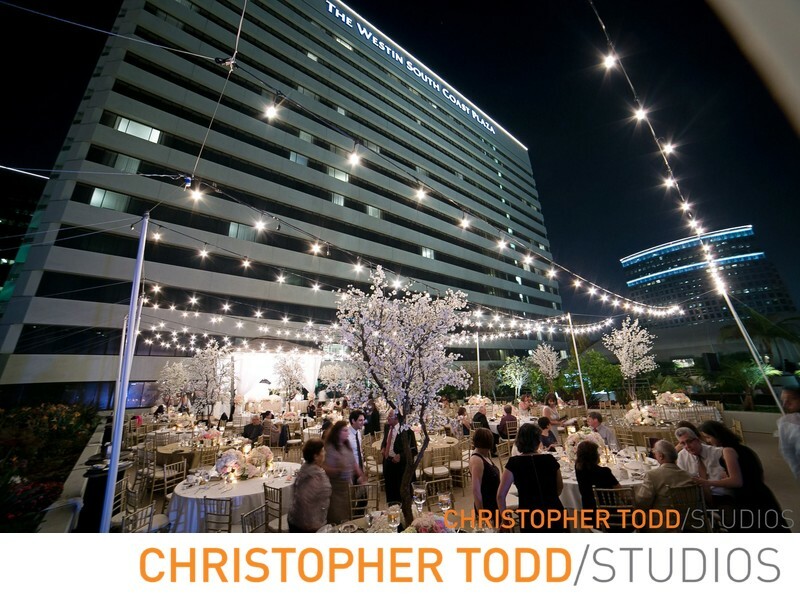 Outdoor wedding receptions like this one are perfect on a summer evening. The guests enjoyed the Westin South Coast Plaza fine dining and dancing. This centrally located hotel in the OC is near South Coast Plaza and John Wayne Airport.